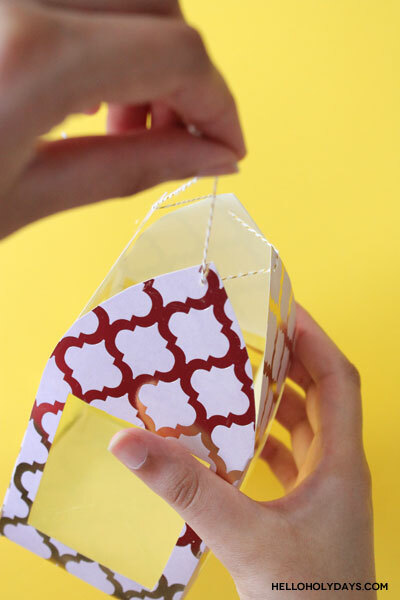 DIY Ramadan Paper Lantern Favor Boxes – Hello Holy Days! Every year for Eid al Fitr, my family hosts an open house party. 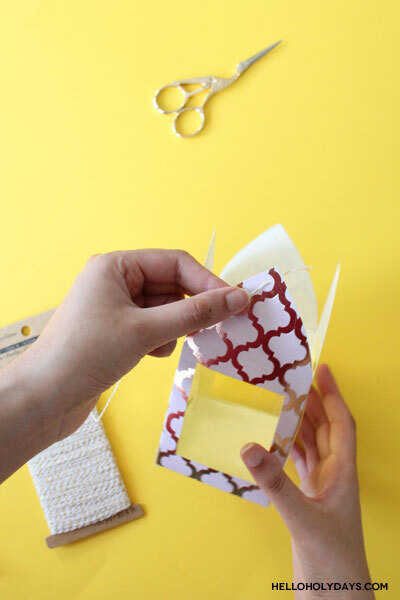 For this year’s party, I decided to make some DIY paper lantern favor boxes for our guests. 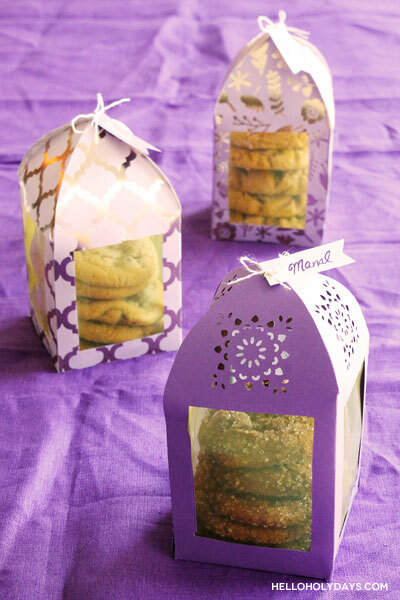 I filled each one with cookies from one of my favorite local bakeries. 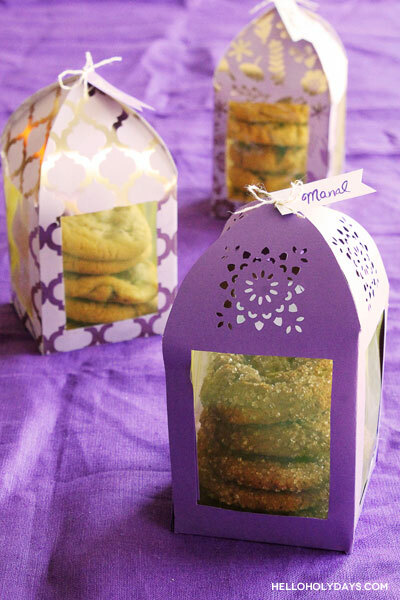 I’m really glad I picked up the cookies instead of baking at home because with the long nights of Ramadan, preparations for Eid al Fitr can get really hectic. 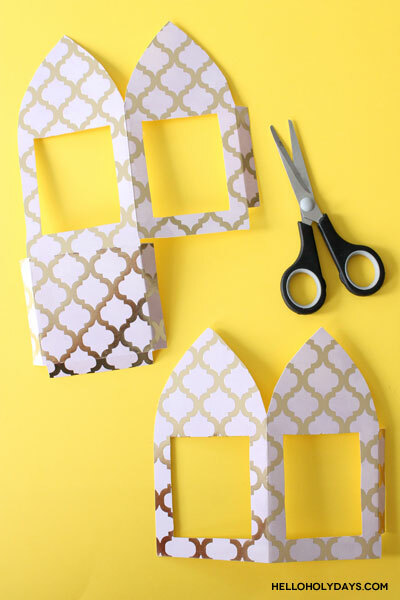 The great thing about this paper lanterns template is that you don’t have to use it just for favor boxes. 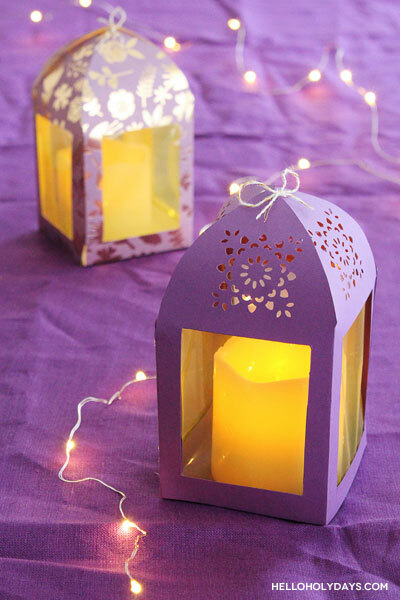 You can also make these paper lanterns as lanterns by placing battery operated candles inside. 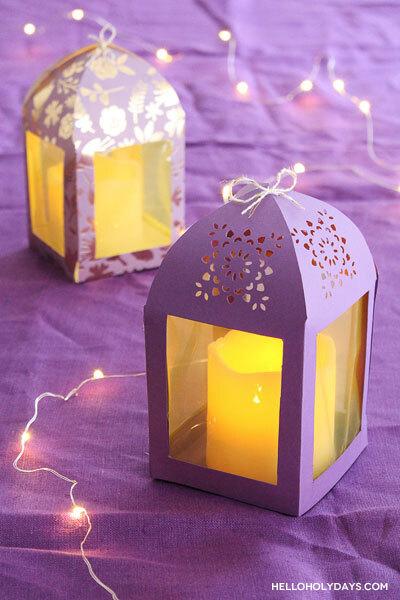 Due to their small, personalized size, they’re best suited for a table or mantle. 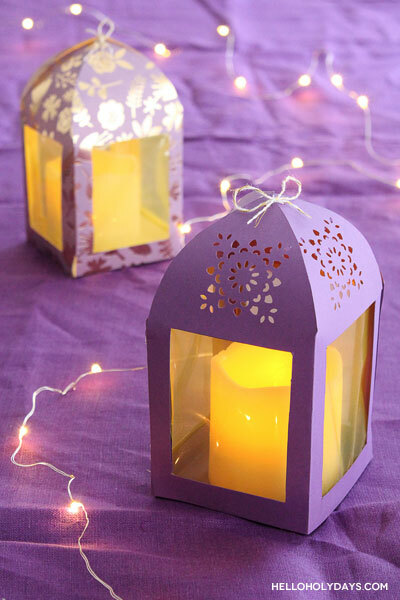 These paper lantern favor boxes are purple and gold for the colors of Ramadan/ Eid al Fitr but this is also a great craft template for wedding season – or any other holiday really! 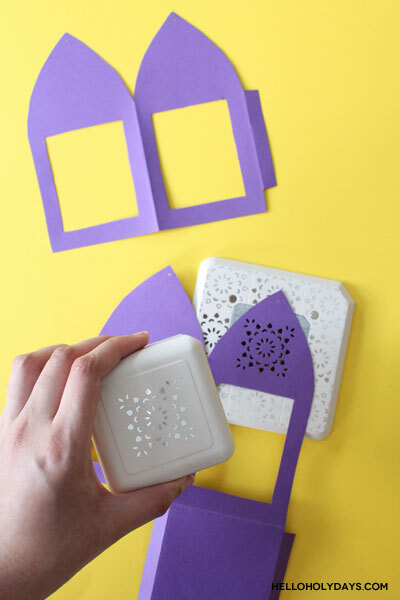 The colors can be customized to any theme by simply changing up the paper! 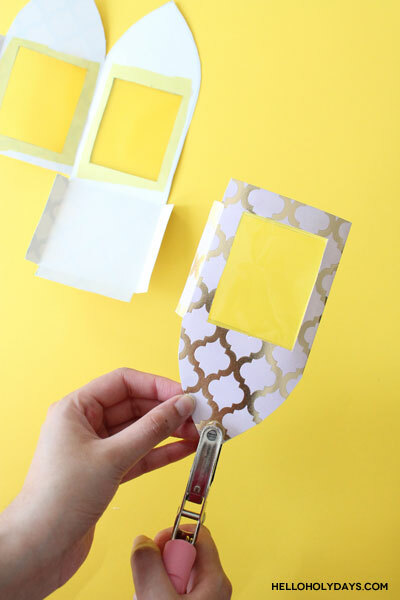 Download and print the template onto purple cardstock paper. 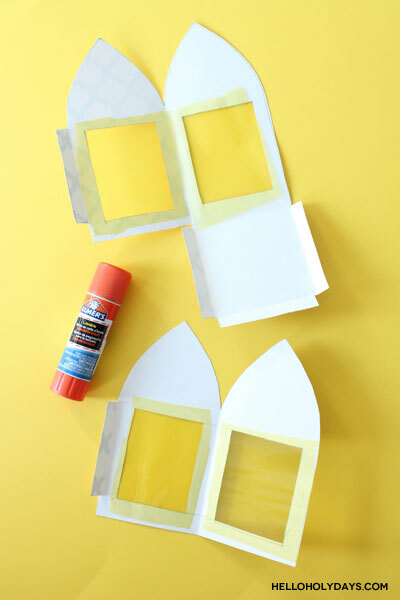 Cut out template, including windows. 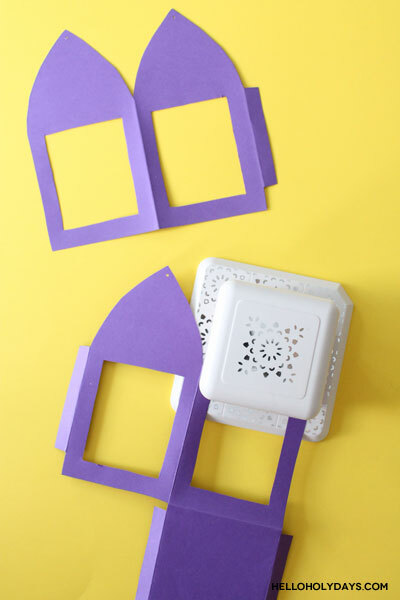 For solid colored purple cardstock, use a decorative punch such as a punch all over the page punch to make a design on the top portion of the lantern. 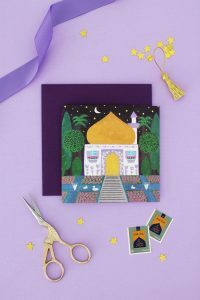 This step can be skipped if using patterned purple cardstock as the design of the punch and the design of the paper will likely get muddled. 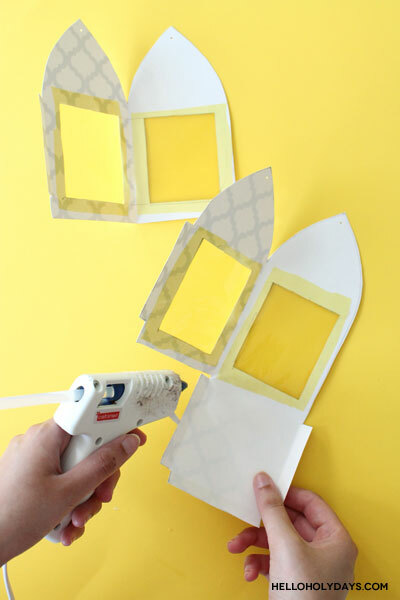 Use a hot glue gun to assemble the lantern. 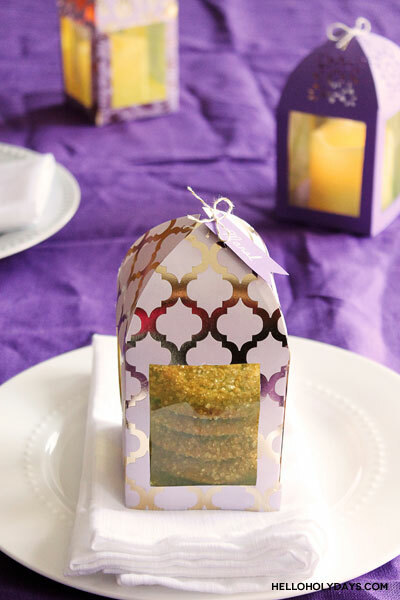 When choosing favors, please keep in mind these lanterns are paper and cannot hold heavy items. 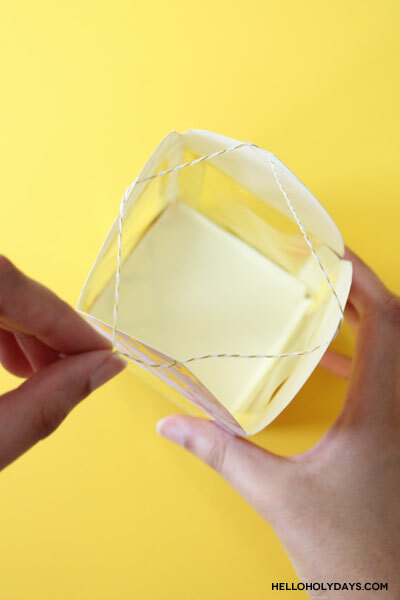 If filling with battery operated luminaries or cookies, please remember to hold the lantern from the bottom when carrying for support, not just from the top. All Hello Holy Days! ideas and templates are for personal use only. 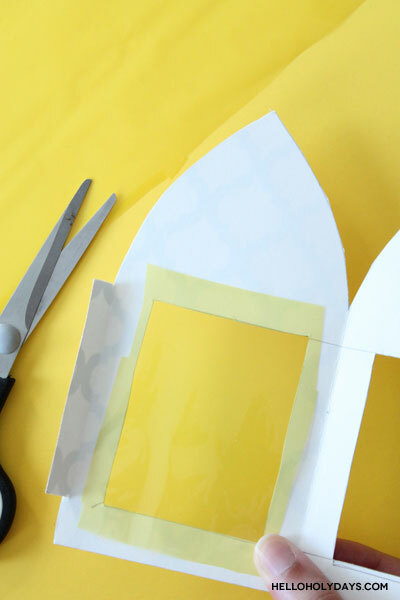 Please do not create projects from Hello Holy Days for the purpose of selling them.